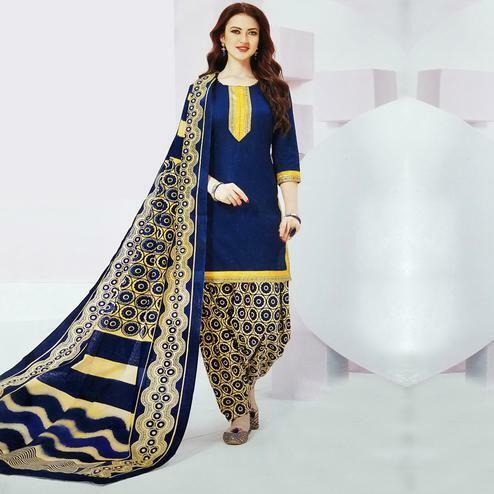 Add some space to your wardrobe for this black - blue salwar suit having high V neck and long sleeves . 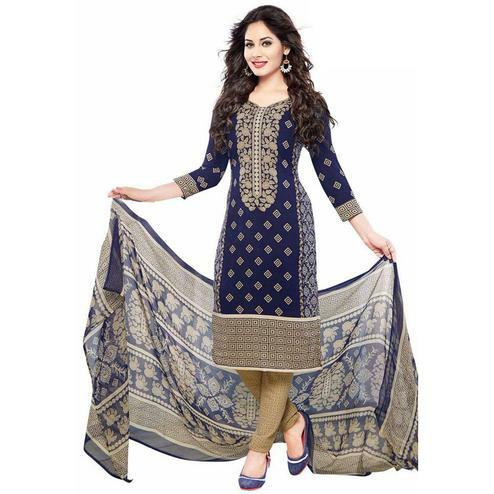 This outfit is made out of crepe fabric, which is perfect for casual & office wear. 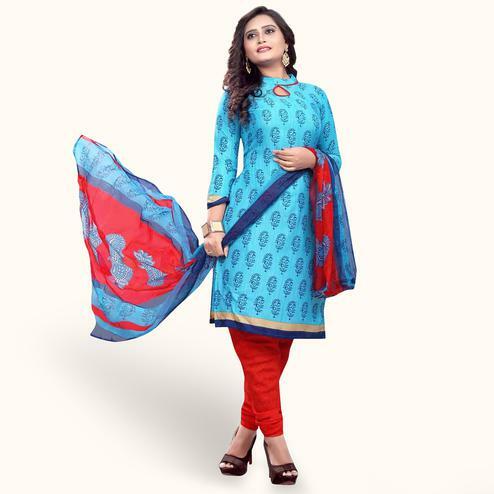 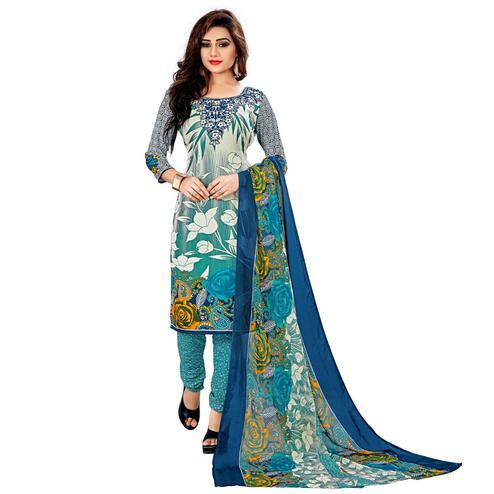 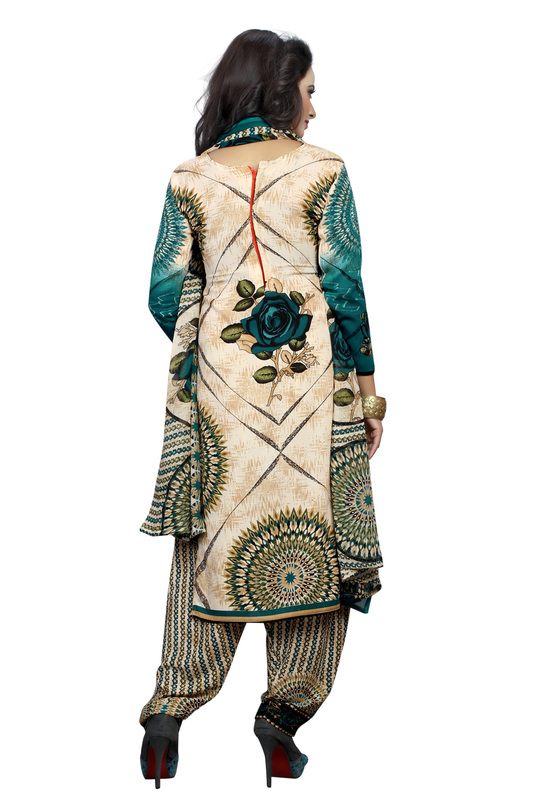 It comes along with matching design bottom and dupatta.